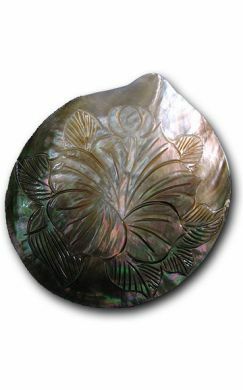 Large mother of pearl shell hand carved with hibiscus flower. Size: approx. 3.5 inches (9 cm) in diameter.